In 1917 John Huth purchases the land for first hospital. In 1922 Huth Memorial Hospital opens, It has only 13 beds at this stage. In 1933 the Sisters of The Incarnate Word and Blessed Sacrament of Victoria take over the management of the hospital. At this point the Huth Memorial Hospital Auxiliary is formed. The first expansion of the hospital is completed in 1950 and the second expansion is completed in 1966. The Huth Memorial Hospital Auxiliary is re-established by Sister Xavier and Sister Joan of Arc in 1967. The Sisters of The Incarnate Word and Blessed Sacrament of Victoria purchase the hospital in 1974. The Sisters of Charity of The Incarnate Word of San Antonio take over ownership of the hospital in 1984. Yoakum Catholic Hospital is formed. In 1988 it was renamed Yoakum Community Hospital. In 1995 ground is broken for a new facility and in 1996 Yoakum Hospital District takes over ownership. The hospital closes in 1997 with the opening of the new 53,000 square foot facility. 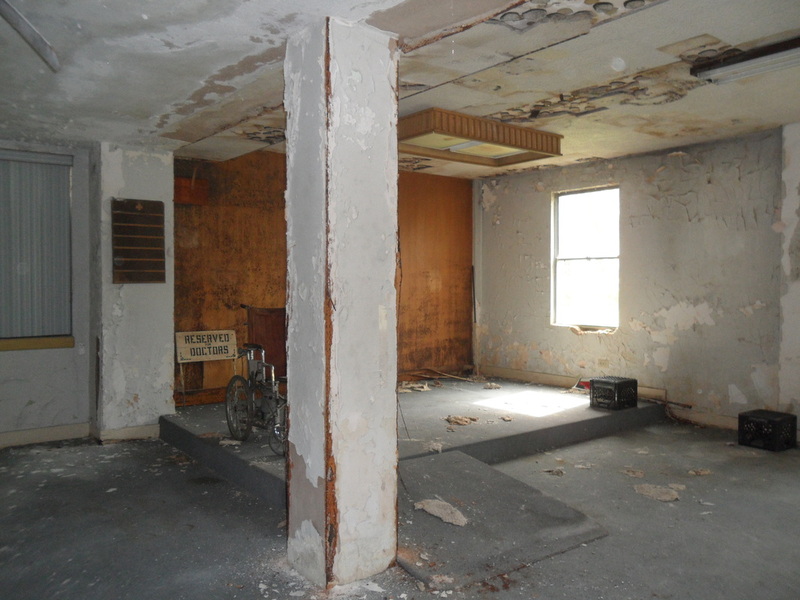 The current hospital sits vacant and is available for rent to responsible parties. The hospital is managed by Old Yoakum Hospital Group. We arrived in Yoakum at 11:30am and we met Lisa Navarro, a member of OYHG. Lisa gave us a awesome tour of the hospital from the basement to the third floor. As soon as we all made it to the second floor a door down the hallway shut and made a fairly loud bang. This is were most of the activity occurs and it proved it throughout the night. As soon as you enter the second floor from the stairwell is were Lora was shot 3 times point blank by her estranged husband. Also on the second floor there is a shadow man and a little girl named Katy. Investigative Notes: March 29, 2014 Activity Level: Medium- Evps, shadows, audible sounds. After all the team arrived we started setting up the DVR system and other equipment . We set our cameras out on all four floors, Covering all the hotspots. Each team investigated all levels of the hospital multiple times. Most of the evidence were personal experiences. Two of our investigators were playing hide and seek to see if they could get the spirit of the little girl to come out. During this experiment they had a blast of wind go past them and a motion detector go off. Many shadows were seen peeking in and out of doorways. Two of our investigators had audible footsteps coming up the stairwell. Early on Sunday mourning a group of our investigators were in the operating room doing a EVP session when a pinkish mist appeared towards the ceiling and radiated towards the floor. This was seen by all five investigators. Overall this is a great place to investigate. This is the evidence that was found on this trip. We all thoroughly reviewed all the evidence and these are the ones that really stand out and make you want to come back and investigate it again. Note: None of the videos or sound clips have been altered. The pictures have only been altered by adding text and or evidence location markers. This picture has a anomaly coming from behind the door with a second anomaly above it. According to Lisa there is a spirit of a man that shadows the little girl and keeps her contained to certain areas. Is this both of them together? 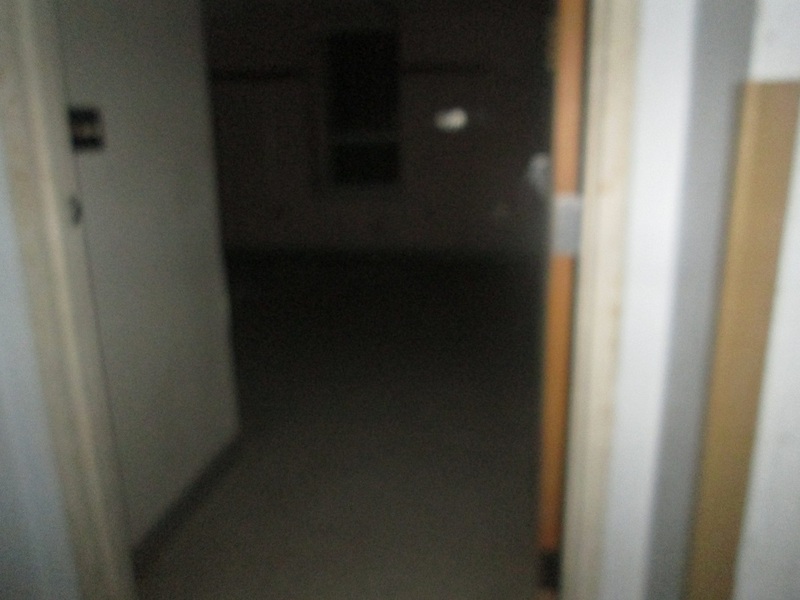 One thing we know is that we took over a hundred pictures during this investigation and only two have anomalies. All orbs were disregarded due to the high amount of dust present.